Size of this preview: 758 × 600 pixels. Other resolutions: 303 × 240 pixels | 607 × 480 pixels | 971 × 768 pixels | 1,280 × 1,013 pixels | 2,310 × 1,828 pixels. Piano pedals of a Steinway & Sons grand piano from the Steinway & Sons piano factory in Hamburg, Germany. 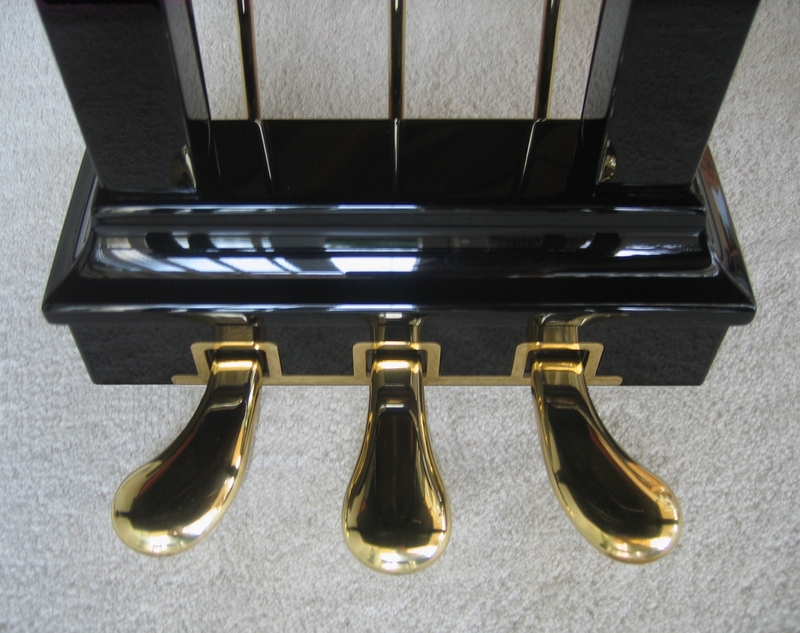 This image has been assessed under the valued image criteria and is considered the most valued image on Commons within the scope: Steinway & Sons, grand piano pedals. You can see its nomination here. current 20:40, 14 June 2012 2,310 × 1,828 (2 MB) Hereiamfriends Changed to better.